SimpleJCraft is sure to please you, if you are used to vanilla textures and do not want to radically change the style of the game. 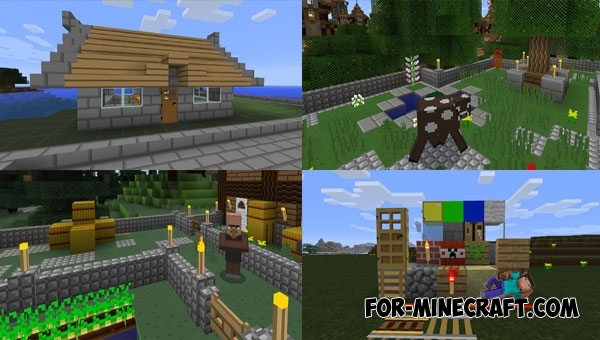 This texture-pack has common features with Tiny Pixels such as a slight smoothening and softness of colors. All blocks, mobs and items remained almost the same as they were before, because of what you do not immediately notice the difference. 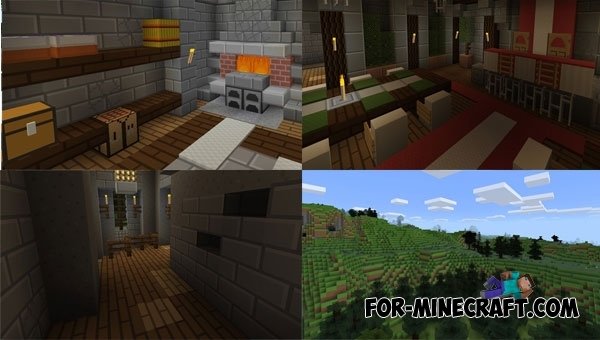 If you are looking for improved standard textures for Minecraft PE then try SimpleJCraft. This pack has one big advantage over other textures. Your game does not lag because the texture pack consumes exactly the same amount of memory as it was before it was installed. Tiny Pixels Textures for MCPE 1.0.0/1.0.4The texture pack occupies first place in the list of the most suitable for the weak devices..